Are you struggling to think of new ways to expand your business? Maybe you’ve tried posting on community boards without much luck, or you’ve been to panels and trade shows without garnering much interest. Why not try an approach that starts with you and your immediate community — and earns you hundreds of impressions within a week? 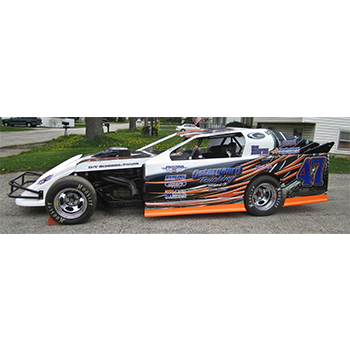 SpeedPro Imaging Lake County is ready to introduce you to a specialty marketing tactic known as vehicle advertising. With custom vehicle wraps, you can visually captivate onlookers as they pass by your car. Post your business’s name, show off your slogan and even paint a body scheme with a vehicle wrap that matches the branding of your company. Custom vehicle wraps allow you to continue promoting yourself and your company as you’re outside of the office during the workday. 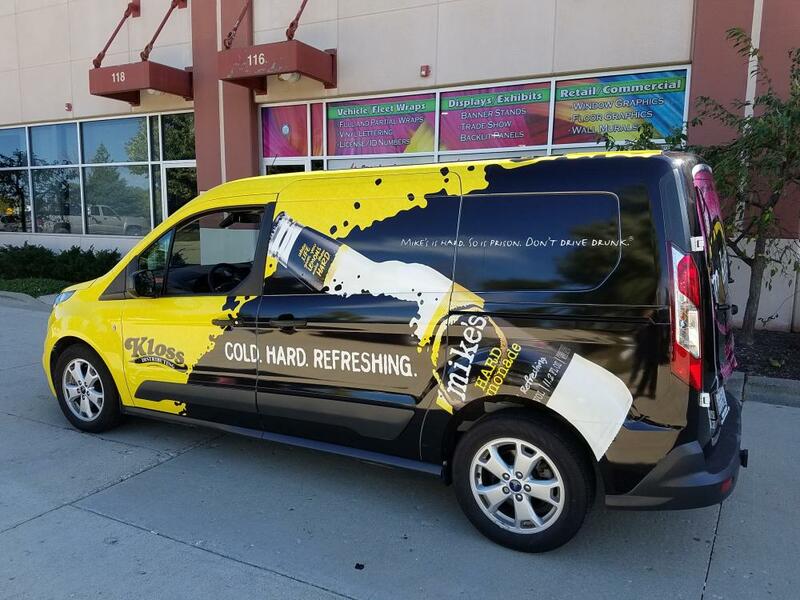 If your business is located within Lake and McHenry counties or in the southeastern region of Wisconsin, contact our team today to begin designing your custom wraps. Gaining impressions throughout your community is important — after all, these are the people you’re interacting with on a daily basis who might not know about your business or what your brand represents. Having your brand in clear view — whether your car is moving or parked — will allow people to see and engage with your design. Custom vehicle wraps allow you to reach a vast audience at a very fast rate, capturing the attention of many. 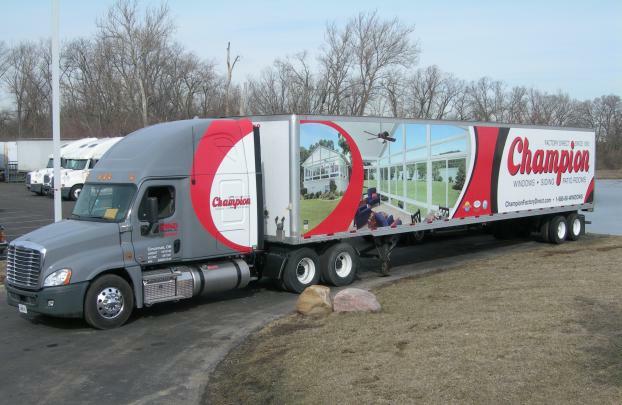 Fleet wraps are designed for large trucking companies and van delivery services that often employ multiple vehicles to be on the road at once. Whether you’re traveling to the next state to drop off products or running a few neighborhoods over to set up for a wedding, all of your vehicles can be uniformly decorated and matching to fully emphasize your brand. Onlookers will see the image and graphic repeated so many times that they’ll be unable to ignore your display. Partial and full vehicle wraps are designed for smaller cars and trucks driving around your neighborhood and highway every day. These two options are similar in design but are determined based on coverage amount. Full vehicle wraps will completely cover the entirety of the vehicle, including windows, side doors, front and back bumpers and the hood. 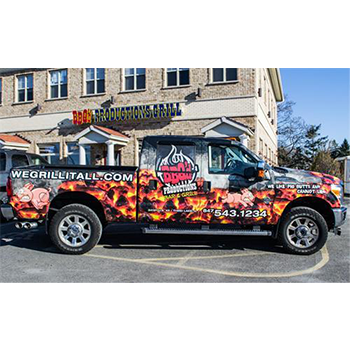 A partial vehicle wrap will allow you to choose segments to display your brand, whether that’s just the windows or the side doors and front hood. If you’re worried about selecting the right coverage for your business, don’t stress. Our team at SpeedPro Imaging Lake County will offer advice and tips to make sure your brand is well-displayed and well-received. Call us today to begin a consultation process. Once we schedule an appointment, we’ll be able to design the coverage your brand deserves. Tom and Mitch did an excellent job with our van wrap and custom printed tent. From start to finish the process with easy and quick. Both the service and quality! The owners are great people who listen, help with ideas and deliver high quality products. I loved the way my banners turned out. The service was friendly, helpful and quick turn around time. I enjoyed working with them and will definitely use them in the future for my banner needs. Tom and his team were great from start to finish. The products and design were outstanding. Would highly recommend. Maureen was great! Really fast turnaround on scheduling and completing graphic install.